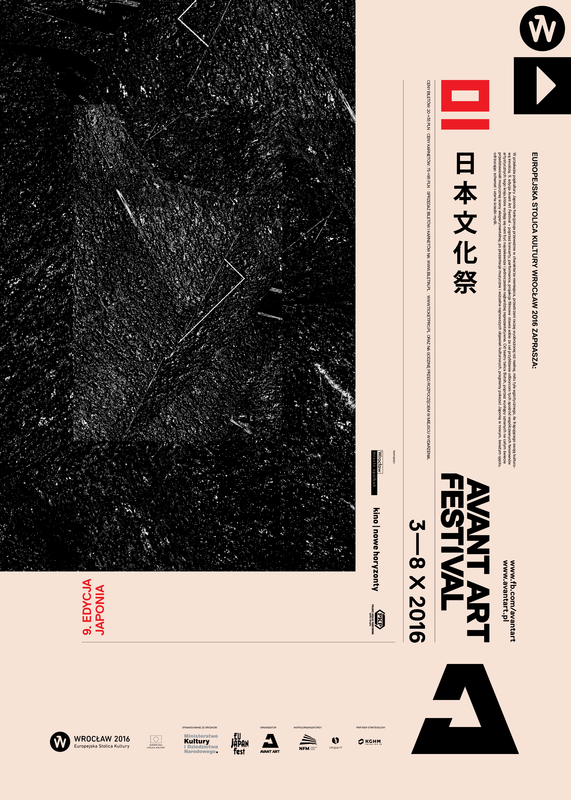 The ninth edition of Avant Art Festival, which will take place between the 3rd and 8th of October 2016, is dedicated to Japan. This year’s programme sets it’s goal in acquainting the audience with a plethora of cultural phenomena of this country, and in de/mythologisation of it’s symbolic space. Concerts will be accompanied by movie screenings, performances, and theatrical events – presentations of the most representative, interesting and new cultural aspects, as well as shows by artists who throughout the years had build their repute on experimental music scene. Phew, one of the key players in the first wave of Japanese avant-new wave, recorded her first, 1981′s solo album with the help of members of krautrock ensemble Can: Holger Czukay and Jaki Liebezeit (who – alongside Hans-Joachim Irmler – appeared at last year’s Avant Art Festival). A vocalist, renowned for her cooperation with Otomo Yoshihide (AAF 2010), Bill Laswell or Dieter Moebius, is currently returning to ascetic, minimalist forms of personal expression. Apart from her solo performance, we will have a chance to see her live with Alexander Hacke (Einstürzende Neubauten) and Danielle de Picciotto (Die Haut, Crime and the City Solution). 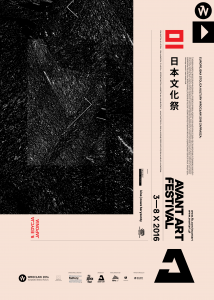 Furthermore we will experience a legendary Japanese experimentator Keiji Haino (remembered for his shows with Stephen O’Malley and Zeitkratzer at AAF 2014) and Balázs Pándi (drummer collaborating with Merzbow, Zu etc.) in a joint performance. Daughter and Berlin-based perfomative-musical ensemble Group A: a project directly evoking the heritage of paradigm industrial music such as SPK, Throbbing Gristle or Cabaret Voltaire. Festival’s programme also includes shows by Polish artists: Zamilska – producer and composer of dense, combative techno, plunder/electro/acoustic 2g, and post-postrock Szczecin-based Kristen, who since many years have explored states of delicate balance between dissonance and silence. Furthermore – as a continuation of a thread of cooperations between Polish and foreign artists, initiated at previous editions of the festival – Paweł Romańczuk (founder and leader of Małe Instrumenty, musicologist and constructor) and Nao Nishihara (Japanese performer and installation artificer, who explores the bodily aspect of creating and performing music in it’s spatial and sound function) will appear together. Artists representing the Butoh dance theatre in full dimension of it’s variety – Aya Irizuki and Ken Mai – will present their work at the festival’s theatrical stage. This motif will also be present in the movie programme: a screening of „An Offering to Heaven” – a film exploring paralells between the works and ideas of Butoh master Kazuo Ohno and Ikebana visionary Yukio Nakagawa – is scheduled. A classic motion picture by Shuji Terayama „Throw Away Your Books, Rally in the Streets”, anarchic dystopia „2045: Carnival Folklore” and a documentary on life and output of outsider/lo-fi legend Yximalloo, are also among planned screenings.